Everything in the life of twentysomething Jade has changed after a vengeful ex threw acid into her face. But Jade is strong. After the film: Q&A with members of cast and crew. The Nederlandse Filmnacht (the Dutch Film Night) and Rialto's youth editorial team LA RIOT join forces with this first edition of this film feast. Film of the evening: Dirty God by Sacha Polak, not only the opening film of the past IFFR, the film was also selected for the competition of the Sundance Film Festival - the first Dutch film to receive that honor. 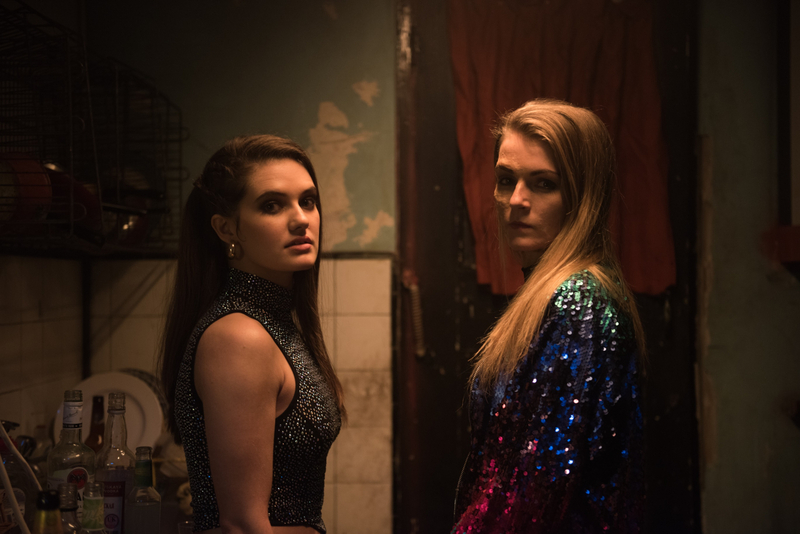 It will be a great film feast indeed: after the film there will be a Q & A with director Sacha Polak, actress Vicky Knight and producer Marleen Slot, led by LA RIOT. 20-something Jade (Vicky Knight) lives in a working-class district in London with her mother and her two-year-old daughter. She once looked forward to diving into London's nightlife every week, but since an acid attack in her face by a vengeful ex has left her permanently scarred, she is only met by staring eyes at the clubs. Her new position forces her to re-determine what real beauty is – not only for herself, but also for her daughter. A difficult process, but Jade is strong and resilient.